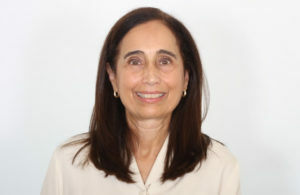 Robyn Goldman, Ed.D, LADC is a licensed Psychologist and licensed Alcohol and Drug Abuse Counselor. Educated and trained in a variety of therapeutic approaches including psychodynamic psychotherapy, cognitive behavioral therapy, motivational interviewing, and EMDR therapy, Robyn has a multifaceted approach that enables her to effectively individualize the treatment course to best meet the needs of each client. Additionally, Robyn has extensive training and experience in psychological and educational testing, and has completed over 300 comprehensive, integrated psychological evaluations. In providing these evaluations, Robyn also has a specialty in identifying learning disabilities and providing comprehensive recommendations. Robyn has many years of experience working extensively with a variety of complex issues such as depression and major depression, anxiety, and trauma including Post Traumatic Stress. Trained in EMDR therapy and a variety of relaxation and breathing techniques, Robyn enjoys working with clients to establish goals that lead to a major alleviation in symptoms and long term change. Other areas that Robyn provides services in are couples and family counseling, and career/vocational counseling. Robyn is in network with Anthem and Blue Cross/Blue Shield plans, Aetna, Cigna, and Medicaid (all Husky plans.) Robyn works with clients to submit for out of network benefits as well when possible. She can be reached at (203) 220-6595, extension 510 and robyn@collaborativect.com.